Contains 1.87% ivermectin. 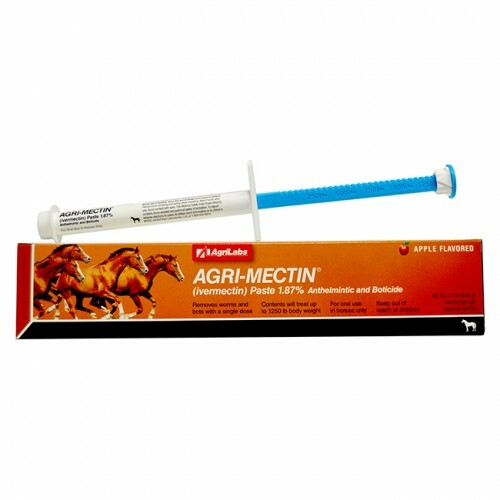 For use in horses of all ages, including mares at any stage of pregnancy, for the treatment and control of large and small strongyles, pinworms, ascarids, hairworms, large-mouth stomach worms, bots, lungworms, intestinal threadworms, summer sores, and dermatitis caused by neck threadworm microfilariae. Each AgriMectin syringe treats up to 1,250 lbs body wt.